Quality customer service is very important to us. Our number one priority is making happy customers. This means that when you shop at Rileys, everything you see and everything we do is designed to make furniture shopping easy and enjoyable. That’s why we don’t have commissioned sales people. Rileys associates are honestly here to help you. We want every item we sell to be perfect for our customers. That’s why we hand pick every product we offer. Products must be high in both quality and value to become part of our assortment. If it wasn’t good enough for our own homes, we wouldn’t sell it. Material quality standards are high here. 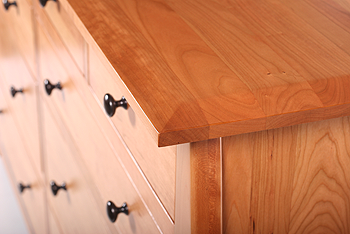 Most of our real wood selection is made with 100% solid wood. Some designs do contain high-quality engineered plywood, when it benefits the design and function of the piece. All of our offerings are constructed of only the finest hardwood materials and absolutely never contain any particleboard. Because our products are built to last, they almost never end up in a landfill. This makes our assortment one of the most environmentally sustainable product line-ups in the furniture industry. Rileys leather offerings match the quality of the wood. 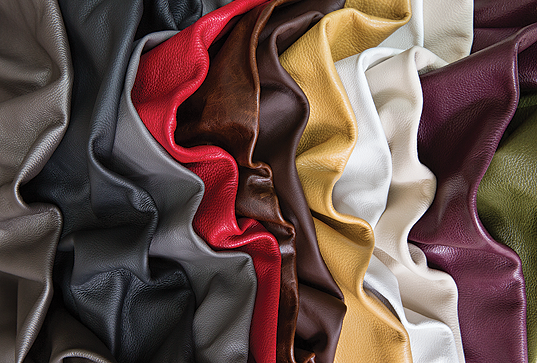 We carry only the best 100% top-grain real leather. No splits and no vinyl whatsoever. These high-end covers are wrapped around sturdy, solid wood and steel frames to create truly exceptional seating for you and your home. Our after-purchase service is equally outstanding. Stocked items are carefully loaded into your vehicle for you. If you choose to have your items delivered, we do it on our own trucks with our own team to ensure it gets done right the first time. If your purchase was a special order, we provide you with an accurate lead-time. We’ll also keep you up to date if there are any unforeseen delays in your order. Rileys is a family owned and operated company, and your satisfaction is very important to us. At Rileys we always treat each customer like part of our family.